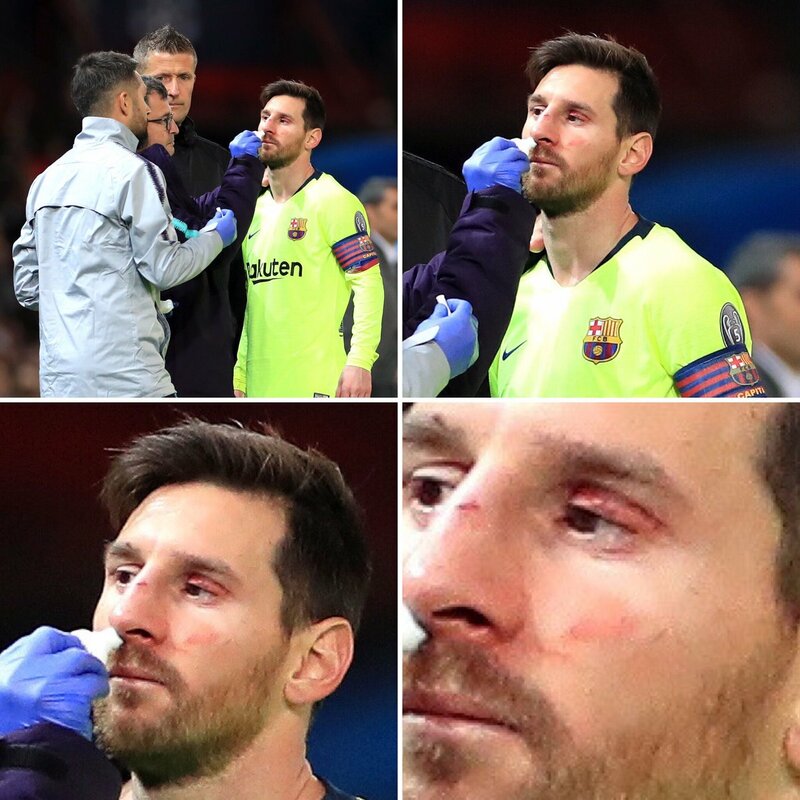 Just some minutes into the game, Lionel Messi gets a bloody nose and eye after a collision with Smalling . Gistvic Reports. 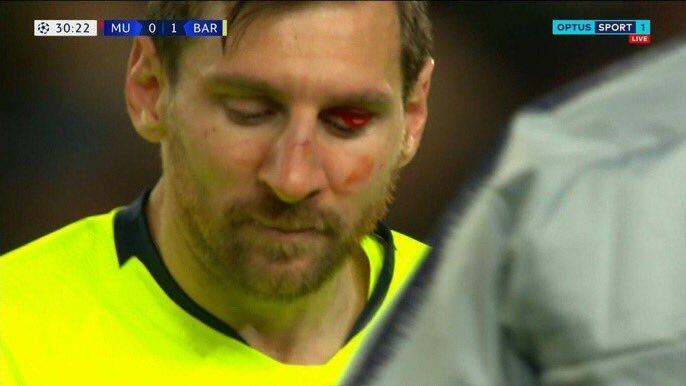 The incident happened when Smalling rushed towards Messi to get the ball before him but his arm smashed Messi face resulting in broken nose and swollen eye. 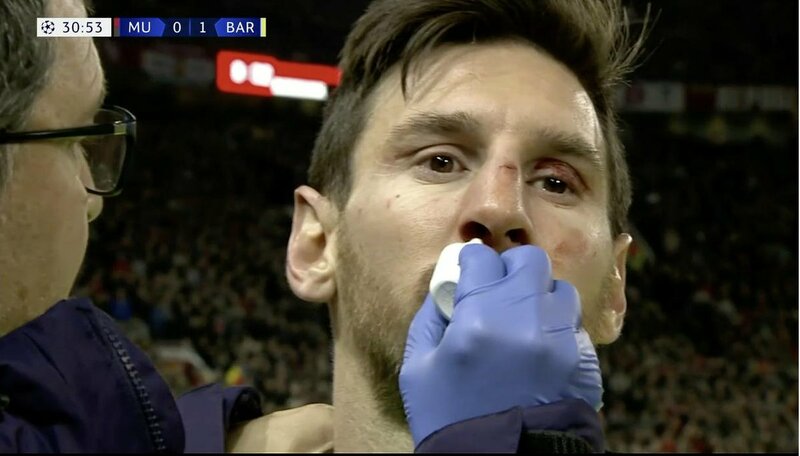 Messi spent some time on the ground, blood rushing from his face as medics came on to offer their assistance. Gistvic Reports.